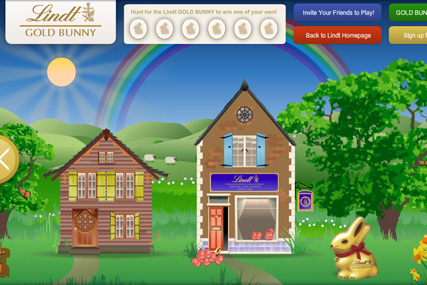 LONDON - Upscale chocolate maker Lindt is running its first digital campaign in the UK, which promotes its Gold Bunny in the weeks before Easter. An online advertising and email campaign is driving people to a website where they are challenged to find six hidden bunnies to be in with a chance of winning a kilogram of the product. Integrated design agency Standout UK created the Flash-based site and the ad and email campaign. The agency also works for Copella, Tropicana Kids, Monster Munch, Scotts Porridge Oats and Snack-a-Jacks.